These are the highlights from Day 5 - Friday 10/30/09 - of Bathroom Blogfest 09! From Flooring The Consumer: The Best Bathrooms Remind You Of Home and Bathrooms & The Hospitality Experience: How Much Is Too Much? Here are highlights from Day 4 - Thursday 10/29/09 - of Bathroom Blogfest 09. Another day of awesome posts. check them out for yourself! From The Carpetology Blog: Design Your Bathroom Around Your Rug! Chris Kieff shares a video of the beautiful bathroom that his wife designed and that he did the tile work on. Oh, my goodness is it gorgeous! See Ladies Room 09 Bathroom Video. Thanks to Becky Carroll for featuring me on Customers Rock Radio on 10/9/09 to discuss customer experience and Bathroom Blogfest 09! Once again, Circulating shares attention getting images: How many times did you wash your hands today? And, don't forget to check out the sponsor of Bathroom Blogfest 09: Kaboom! Go enjoy Kaboom's special Bathroom Blogfest promotion featuring a cleaning system that will keep your bathroom looking [and smelling] very clean! Circulating's Iris Garrott shares this photo Rather You Than Me and this link to the 12 most creative bathtubs.... OMG! From Lindaloo: Lindaloo loves Kaboom! 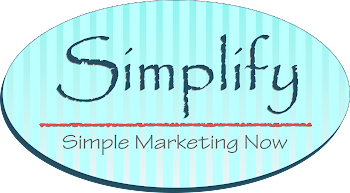 Simple Marketing Now shared a recap of Liane Evans' presentation at the MarketingProfs Digital Marketing Mixer in Chicago where she blends social media and search for greater marketing impact. Experienceology posted Bathroom Blogfest 09 with marvelous insights and visuals that compare two visitor experiences. What would you do differently to brand yourself? My 2 cents described Going on the Go. + What is the most important question you can ask your customer? Professor Toilet described a free independent testing to measure bulk removal in Flushing this economy will take more than the average toilet. From The Floors Up announced its participation in the Blogfest and details on the contest it is conducting this week! 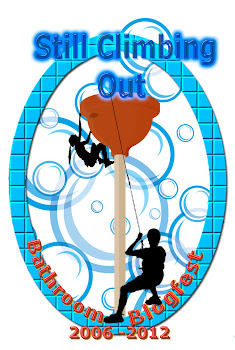 My Big Bob's Blog announced its participation in this year's Bathroom Blogfest. You can follow the Bathroom Blogfest via Twazzup and #ladiesrooms09 on What the hashtag?! Bathoom Blogfest 09 Has Begun! Bathroom Blogfest 09 has officially begun! David Reich shares Going on the Go. Professor Toilet says that Flushing this economy will take more than the average toilet. There's lots more ahead so do be on the lookout for #ladiesrooms09 and other mentions of Bathroom Blogfest 09. Lots of exciting news leading into the Big Bathroom Blogfest event next week! First, Kaboom is our official sponsor. And they have put together a Bathroom Blogfest Deal worth exploring. Next, we have 20 bloggers, and 21 blogs, ready to address "Flush The Recession and Plunge Into Forgotten Spaces" next week during the 2009 Bathroom Blogfest. Others may join us, too. Don't forget to follow us on Twitter @BathroomBlogfes, join our Facebook Fan Page [check out the sidebar for the link], and look for #ladiesrooms09!